GARDENING QUIZZES | Highly visual entertainment for members of gardening clubs, societies and other groups and organisations. Please note that my gardening quizzes are now available for purchase by members of the public and not just by officers of gardening clubs or similar organisations. See below for more information. If you are an official of a gardening club, society or organisation and are looking for highly visual gardening quizzes to use for the entertainment and enjoyment of members of your organisation then look no further. My gardening quizzes are very different because the questions, and answers, are presented as colourful digital slideshows with text and photographs. I supply the quizzes on a CD for playing on a computer and projecting to a screen or via a television, the choice is yours. I explain how best to present and play the quizzes and provide all the supportive documentation. If you are buying my quizzes for personal use or as a gift for someone then you still play the quizzes on a personal computer but there is no need to project the quiz to a screen. The quizzes can be viewed on your computer. Within the UK gardening is enjoyed by millions of people. My quizzes are popular not only with gardening clubs and societies but also with other groups and organisations including, for example, some Women’s Institutes and Universities of the Third Age. The costs of my quizzes usually compares very favourably to the cost of hiring speakers for club meetings, the quizzes are a cost effective alternative and offer something different. Indeed a quiz afternoon or evening can be lots of fun. Whether people are new to gardening, or more experienced, I have a unique product for their education, entertainment and enjoyment. I receive lots of positive comments about my gardening quizzes, please take a minute to look at the feedback received page of my website. NEW – GARDENING QUIZZES CAN NOW BE PURCHASED BY MEMBERS OF THE PUBLIC. I am now able to offer my gardening quizzes for sale to members of the public who are not associated in an official capacity with gardening clubs or other organisations. This is due to continued interest in the quizzes for personal use or as gifts to purchase for other gardening lovers for Christmas, Easter, birthdays or other special occasions. In line with normal trading practices if you do not represent a gardening club or similar organisations and are purchasing for personal use or as a gift for someone else then any gardening quiz / quizzes purchased need to be paid for upfront. I can accept payment by PayPal or by direct Faster Payment Bank Transfer. 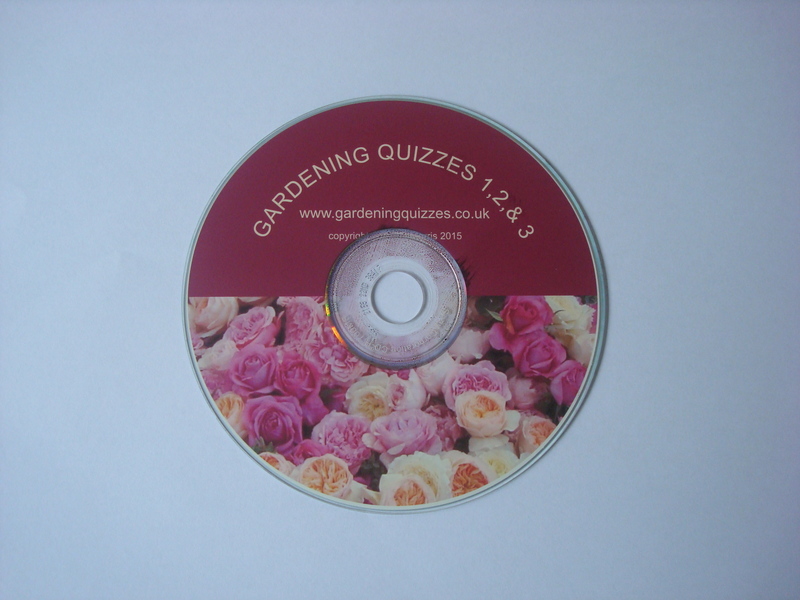 Once payment has been received I will post on the CD containing the gardening quiz / quizzes immediately. Please place an order for any gardening quiz / quizzes as per “PRICING AND HOW TO BUY” page on this website. I now have a Christmas themed gardening quiz available. This quiz contains mixed gardening questions all related to Christmas. Slides in this quiz feature animations , some moving, that add to the enjoyment of the quiz. My Christmas gardening quiz is ideal for use near Christmas and will add to the fun and enjoyment of any social gathering or event. I can now offer plants for sale. The plants are delivered by Royal Mail second class post and are subject to availability. Please click on the “PLANTS FOR SALE” heading on the navigation bar at the top of this page and the relevant page will open. This contains more detailed information about the plant varieties available, costs and how to place an order etc.. Payment is made before the plants are posted on.